Farewell 2012!!! | Living the Good Life in Gaston County! As I think back over 2012 a few words come to mind……..
As many of you know, I left corporate America a little over two years ago. While I have continued to seek other opportunities back in the corporate world, my true hope was to start a new journey…..as a small business owner. In 2012, I decided to fully pursue and build my real estate and general contracting business. Over the year we had several new clients put their properties in our trusted care and we have found many new tenants to occupy them. 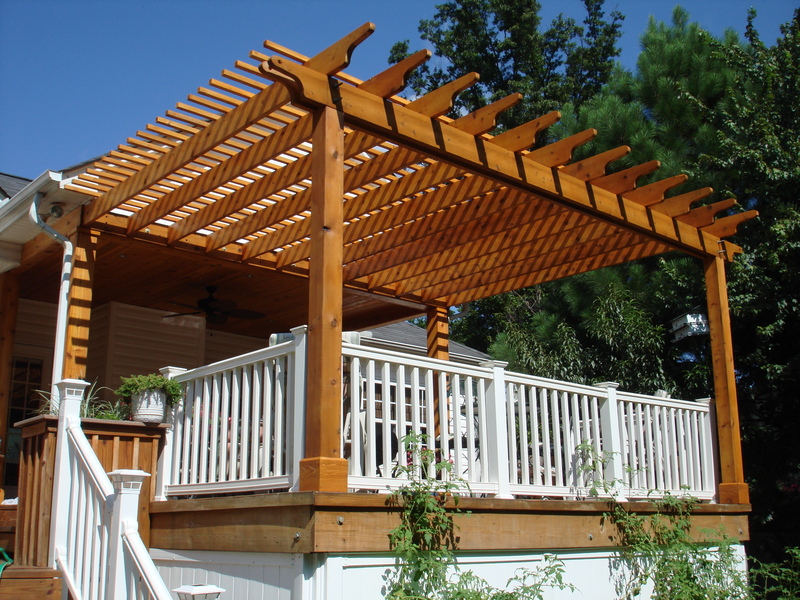 We had the opportunity to assist several homeowners with remodeling/home improvement projects…..exterior decks, porches, pergolas, laundry rooms, hardwood floors, carpet, tile floors, linoleum flooring, cabinets,doors, windows, tile showers, LED lighting, wainscoting, bathrooms and kitchens. We have helped several clients whose homes have been impacted by termites, water damage, mold and other issues. I have been most surprised by the amount of work we have received due to the lack of quality work done by other contractors. It breaks my heart and fires me up any time I meet a property owner and hear the troubles they have had with so-called contractors taking advantage of them. 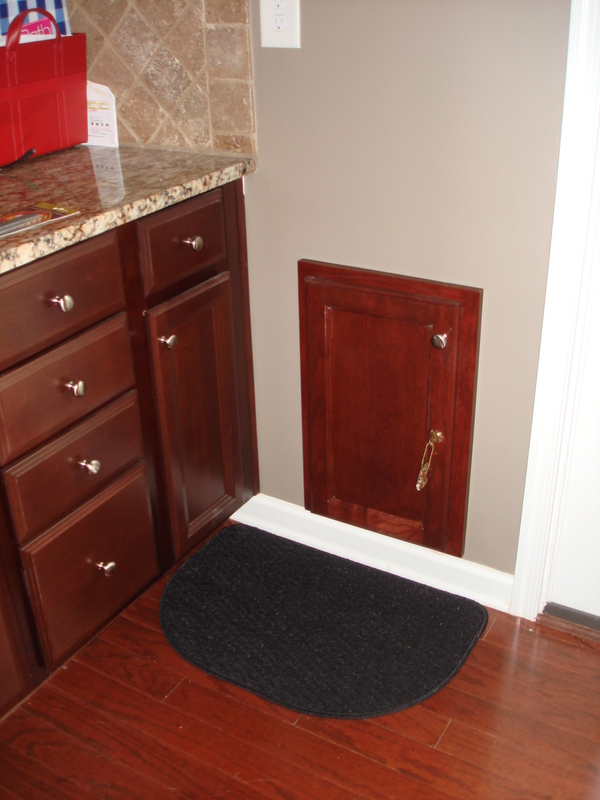 One of the small projects that has been a hit with our client and their friends was a doggie door…..while this might seem a common task, I think you will find the following pictures a step above the normal doggie door. We have been successful in putting together a team of talented craftsmen and subcontractors that care about doing the right thing for clients….for this I am thankful and look forward to 2013 being a year of helping other property owners improve one of their greatest investments. Will, our oldest son, began college at Belmont University in Nashville TN, where he is a commercial music major. He has been blessed with many musical abilities and is furthering his love of music, song writing and performing. He has adapted to both college life and Nashville very quickly and I think his new home will be Nashville…at least for now!! It is not a bad city to call home………….and we look forward to many visits. My wife, Jan, while homeschooling and taking care of our home and children has decided to also begin helping in our small business. Bless her heart as she began this year helping with our bookkeeping and learning the details of both property management and general contracting. I am thankful for her patience with me as I am an impatient teacher. Many of you know that we began raising chickens and pigs a few years ago for personal consumption. This year we acquired our own label for selling meat raised here on our farm in Gaston County. StoneWright Farms now offers fresh eggs and pork. 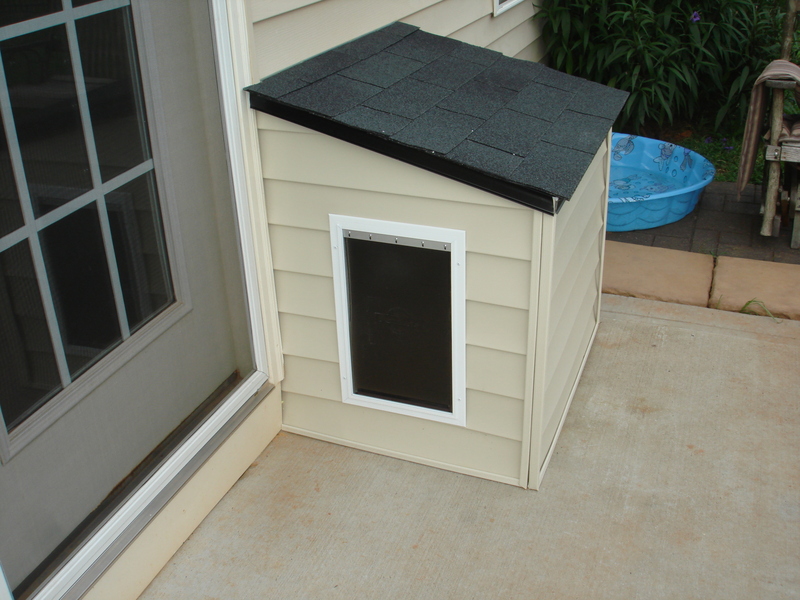 In 2013, we look forward to finishing our cold smoke house and having some country ham and bacon cured by next Christmas. One of our best surprises in 2012 has been our bee business. My son, Ben, and I started several years ago keeping a few hives as a hobby and father/son activity. This past year it has grown into another part of our small business. 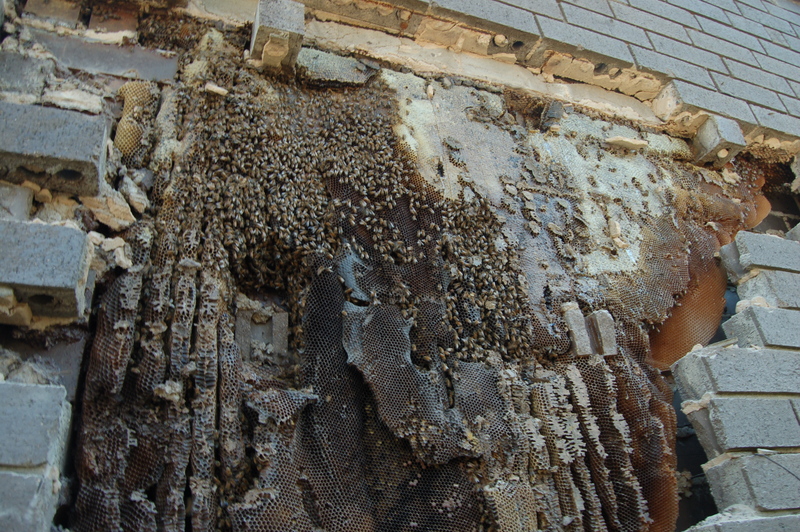 We were called on several times in the spring and summer to capture honey bee swarms and to remove bees from homes and buildings. We put our contact information on one website and we received calls weekly…what a surprise! I learned that I was the only “insured” bee keeper in NC/SC who offers bee removal services….this has really created a niche business opportunity for us. We have learned a lot about bee removal from structures, transportation and relocation. 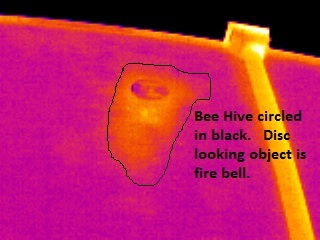 I have also discovered that thermal imaging is a great way to locate bees who build hives in building, walls and ceilings. Another good part of bee keeping is that we receive the fruits of the bees’ labor………..Honey. I am amazed how honey tastes different based on the time of year collected, based on pollinators, and whether it is farm raised honey or wild honey. No matter what honey we have collected this year….it has been very tasty. I have also enjoyed sharing my journey, knowledge and what I continue to learn with all the clients I have had the opportunity to build relationships with this year. There have been many…….insurance, estimating jobs, insurance, finances, too much work, too little work, insurance, time enough to learn, animals, house, bees…..and the list could go on and on……..I am reminded of an encouraging picture that a mentor once gave me and that still hangs in my home office that says….”A bend in the road is not the end of the road” We all face challenges and we can decide to let them stop us or we can decide to grow through them. Our family has decided to grow through them…many have led to pleasant surprises on this new journey. I am thankful and blessed to be married to Jan, my wife of more than 20 years!! She continues to be a great partner, supporter and cheerleader!!! We have been through so many changes over the last few years–some that would break many families. However, she continues to be a supporter and active part of this career change and overall change in how we support our family. I am blessed to have children that are growing into young adults…….while they have not enjoyed the missing luxuries of living on a corporate America salary, they have been real troopers!!! They have stepped up to help with things around the farm and house as Jan has helped me in my business. Our sons and daughter have joined me on several jobs to help with cleaning, painting, framing and other tasks. I think they are learning about what jobs they would rather not do versus other career opportunities. I would be overjoyed if any one of my children shared my passion for real estate, home improvement, woodworking and building……however, I know God has blessed them with their own passions, gifts and talents and my prayers are that they follow God’s plan for their life first and foremost!!! Homeschooling continues to go very well at our home. All of our children love what they are learning and the flexibility to learn according to their own bent. We have been reassured in our decision to continue to homeschool as we have watched Will make a successful transition to a higher education. He as done very well at Belmont during his first semester. Ben received his driver’s license in October and Chris began driver’s education in November. In the spring we will have 3 teen drivers and be insurance and automobile poor………….donations are welcome!! Ben is enjoying his ’91 Chevy truck and has shown some interest in learning about how to work on cars….I can’t wait to see what he does with his truck in 2013!! Katie our youngest child and only daughter continues to rule the house and has begun tractor driving school!!! I think she will be like her dad….a jack of many trades and master of none. I am afraid this results from being ADHD!!! Chris (or as I like to refer to him: CD) is our third and youngest son He continues to enjoy his love of Legos. I even had the opportunity to take him to a Lego conference in the spring which I found fascinating. Who knew you could do so much with Legos….I was just amazed!!! CD is our quiet child….much like his dad (no laughing!!) and I really saw him come out of his shell as he talked with other Lego enthusiasts at the show and talked to others about the display he and his friends entered. What a joy!! We have been blessed with good family, friends, employees and customers over this past year and for that I am very thankful!! Thank you all for your encouragement and support over the last year! Please join me for a GREAT 2013!!! Happy New Years!! Remember one of my favorite sayings as you begin this new year……. What an outstanding man you have grown to be. What interesting roads you have traveled. And what inspiring paths you now blaze. The eyes that have followed your journey, gaze upon you with pride and perhaps even a bit of awe. I know that I am honored , … and humbled, to observe from the periphery.